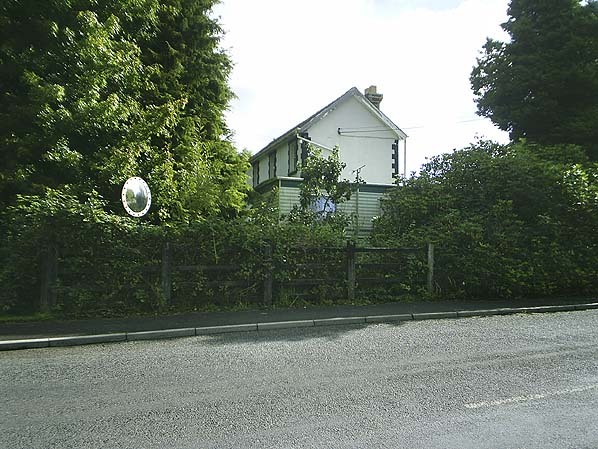 Notes: Very little information is available relating to the original station at Llanfyrnach. 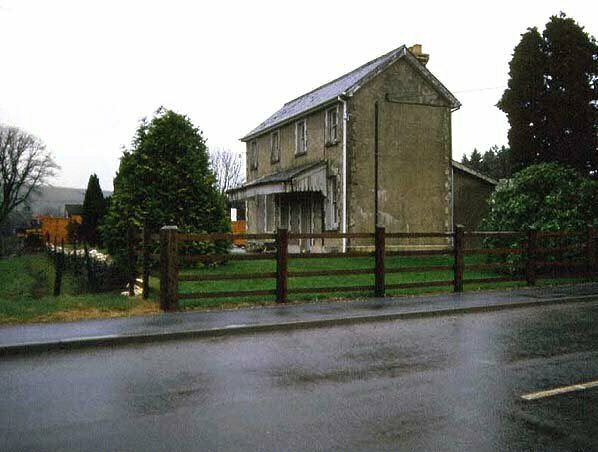 Like other stations on the Whitland & Taf Vale Railway, the station building was little more than a wooden shed with a urinal; it's not certain that a platform was provided at this time. In 1886 the construction of a new station at Llanfyrnach was authorised and built by 1887 during the relaying of the entire T & VR track. 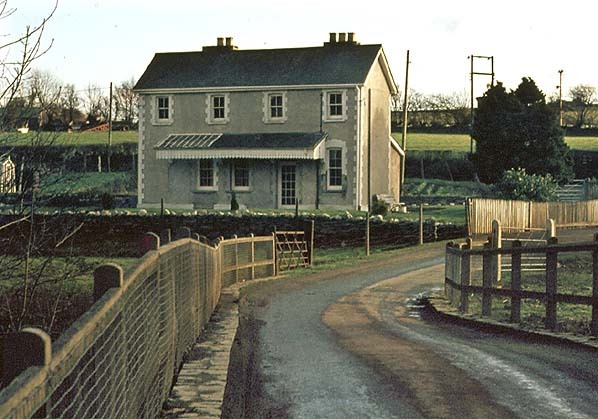 The new station was (like its predessor) sited immediately north of the level crossing and consisted of a two storey stone building incorporating the stationmaster's house, booking office and waiting room. Two corrugated iron goods sheds stood at the back of the platform. A signal box stood at the south end of the station adjacent to the level crossing; this was later replaced by a ground frame in a wooden cabin. The signal box controlled the crossing and access to the goods yard which unusually was sited beyond the station on the up side of the line. It comprised a loop with two short sidings, one at either end of the loop, the northern siding served a cattle dock. As Llynfyrnach is one of the busiest stations on the line the goods yard seems surprisingly small considering the large amount of agricultural and coal traffic handled by the station. Until closure of Llynfyrnach mine the station also handled mineral traffic. It seems likely that a siding ran westwards into the nine from a point just north of the goods loop although there is no evidence of this on the 1890 Ordnance Survey map. Click here to see the map and some pictures of the mine site in 2008. After closure to passengers in 1962 the stations stopped handling parcel traffic but remained open for larger freight until 27th May 1963. In July 1886 notice was given to the Board of Trade that the Cardigan Extension was ready for inspection. This took place on 29/30 June despite the fact that there was still unfinished work at Cardigan station. Inevitably the inspector postponed the opening of the line for one calendar month from 6 July to allow this work to be completed. The GWR agreed to operate the line from 1st September 1886. The station in fact opened on 31st August 1886; this was only the second time the W & CR operated the service into Cardigan, which was handed over to the GWR that evening. Additional intermediate stations were opened at Boncath and Kilgerran. Although the extension was already open the official opening ceremony was held the following day. Under the 1883 agreement all existing rolling stock was handed over to the GWR. 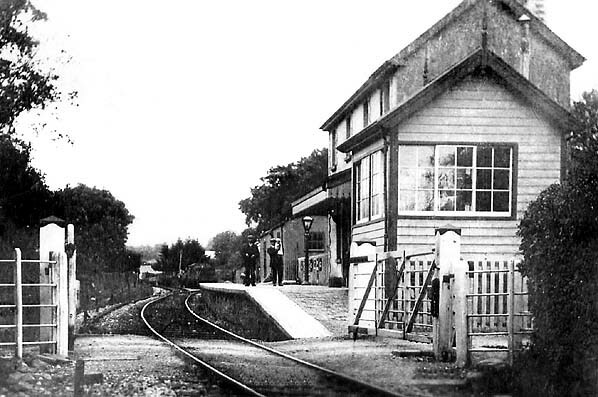 Llanfyrnach station looking north east c.1905. 1907 1 :2500 OS Map. 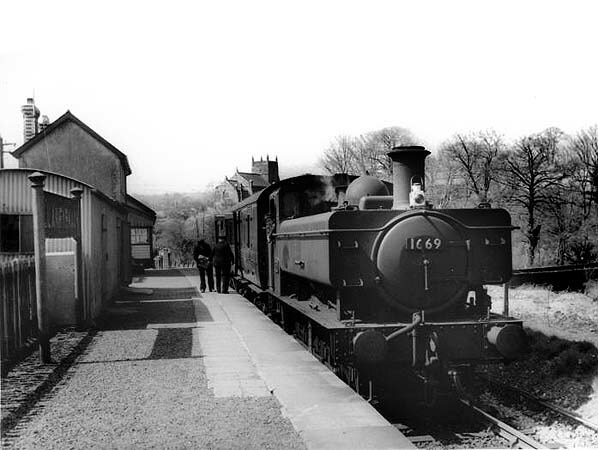 A Whitland train at Llanfyrnach station c.1950s. 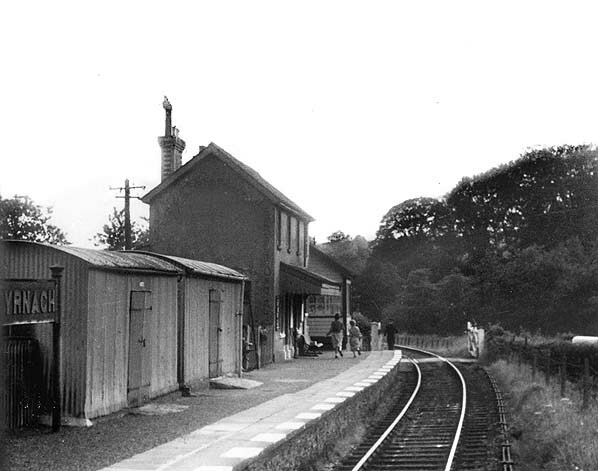 Llanfyrnach station looking south west in July 1958. Note the two goods sheds on the platform. 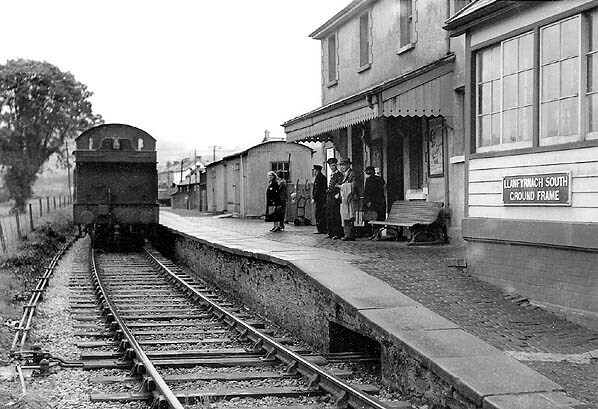 Llanfyrnach station looking south west c.1962, shortly before closure. 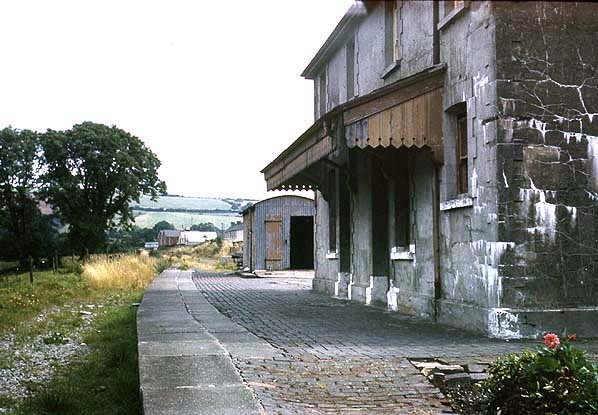 Llanfyrnach station looking north east in August 1967, note the ballast hasn't been lifted. Looking north east across the level crossing towards Llanfyrnach station in April 1987. Looking north east across the level crossing towards Llanfyrnach station in September 2010.